Here I am relaxing before an evening of piracy. 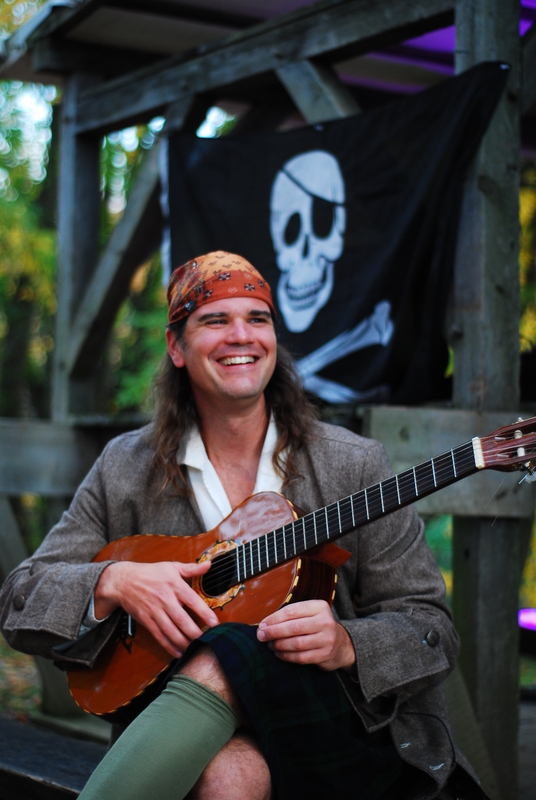 “The Pirate King” was a character I created for Philipsburgh Manor’s “Legend Weekend”, an annual event that ran during the month of October for years and years. In 2010. they created a new event “Horseman’s Hollow”, which proved to be very popular. Since then, I’ve been playing a live pipe-organ score for “Jonathan Kruk’s Legend”, which has also become very popular. In October 2011, it will run for every weekend night, but that’s a whole other post. Here are a selection of videos of me performing the character. These were taken over the years by visitors to the event and posted on YouTube. Enjoy! I always like to start the show with a little shtick..